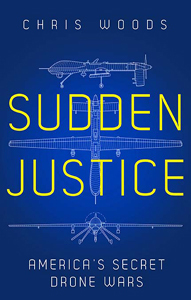 Home › Book Reviews › Book Review: ‘Sudden Justice: America’s Secret Drone Wars’ by Chris Woods. Book Review: ‘Sudden Justice: America’s Secret Drone Wars’ by Chris Woods. READING WEEK: The final post in our short series of book reviews related to the use of armed drones. The number of books about the use of armed drones has mushroomed over the past two or three years but investigative journalist Chris Woods’ just published ‘Sudden Justice: America’s Secret Drone Wars’ sets a real benchmark for the genre and is likely to be a standard text for some time to come. 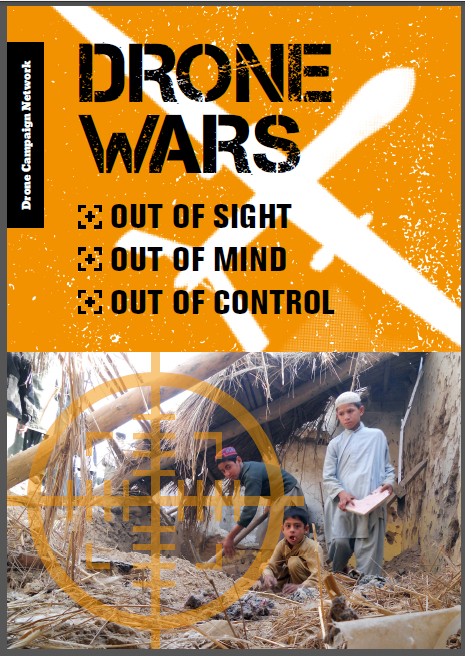 Over 300 tightly-written pages, the book traces the growing use of armed drones from the almost ad hoc missions in the aftermath of 9/11, to their gradual acceptance in the wars of Iraq and Afghanistan before spreading ‘beyond the conventional battlefield’ into Yemen, Somali and most controversially Pakistan. Weaved into this chronological story, Woods examines the multiple legal and ethical issues that surround the drone wars including the questions of targeted killing, asymmetric warfare and the civilian casualties. For me, the unparalleled access that Woods has managed to obtain sets this book above many others on the subject. From conversations with rank and file personnel operating these systems on a day-to-day basis – including pilots, senor operators and intelligence analysts – to interviews with key intelligence and political appointees and high-ranking security and military officials, Woods wrestles out the story of the drone wars in a hugely detailed but thoroughly readable way. Some of these interviews bring jaw-dropping quotes and anecdotes. The ability of drones to enable intervention without boots on the ground is “making the drones as addictive as catnip” one counterterrorism expert dryly tells Woods. Elsewhere a former ISAF officer recounts an incident in which an Afghan suspected insurgent was to be released as there wasn’t enough evidence to continue holding him, but it was agreed there was enough to assassinate him. The officer went on to tell Woods of the discussion that followed in regard to how long they had to wait before striking at him. “Obviously, the easiest place to kill him was as soon as we’ve let him out the front gate, but that would have been a bit unsporting” he tells Woods. “Predators and Reapers necessarily operate alone, because their pilots—sitting in trailers thousands of miles away in Nevada, monitoring their ‘bots’ flights through narrow camera lenses—lack the visibility to fly in close formation with other aircraft… So when Pakistani eyewitnesses such as Rehman—plus others cited in the recent Amnesty report—describe groups of several aircraft flying together, it’s unlikely what they were seeing were drones. But in discussion of how drone operations changed over time, drone commander Pete Forest told Woods that as pilots often had to decide whether to follow a car or an individual who had disembarked from that car “massed ISR” was developed in which multiple drones worked a single mission. “Now you’d maybe three or four different [aerial] vehicles watching an area” he told Woods. It is this kind of detail which has only previously been available to insiders. Two specific chapters of the book are worth mentioning as they deal with two of the key issues. While there is undoubtedly some truth to this notion, reliable and compressive data on drone operations and on consequent civilian deaths in Afghanistan – which has been the real centre of armed drone operations despite the concentration on the controversial use in Pakistan and elsewhere – is simply not available. And, it must be remembered, deliberately so. Woods recounts how the US military briefly released figures for drone operation in Afghanistan only for them to be withdrawn shortly afterwards and all traces on the Pentagon websites expunged. 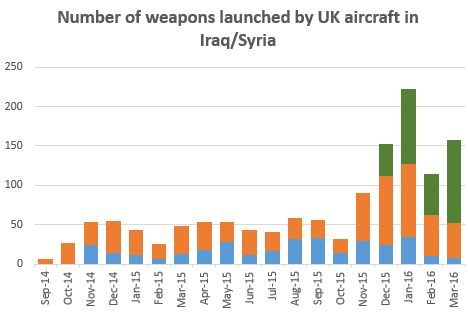 ‘We don’t do casualty figures’ is the mantra. Any figures that we do have, from UNAMA for example, are unfortunately broad and indicative at best. For this reviewer, the idea that we can iron out any difficulties with the drone wars by improving the processes misses the fundamental problem with the technology. Drones have simply become far too easy and tempting to use – as Chris Woods himself said at the book’s launch. Sudden Justice is a really excellent book and anyone interested in the use of drones or indeed modern warfare itself, either from a general concern or from a professional or academic interest, should have it on the bookshelf. It sounds like a great book with lots of new and important information and insights. But an inappropriate title. The title is explained in the book. It’s a direct quote from George W Bush where he talks of America’s newfound ability to deliver “sudden justice upon its enemies.” He’s talking about drones. 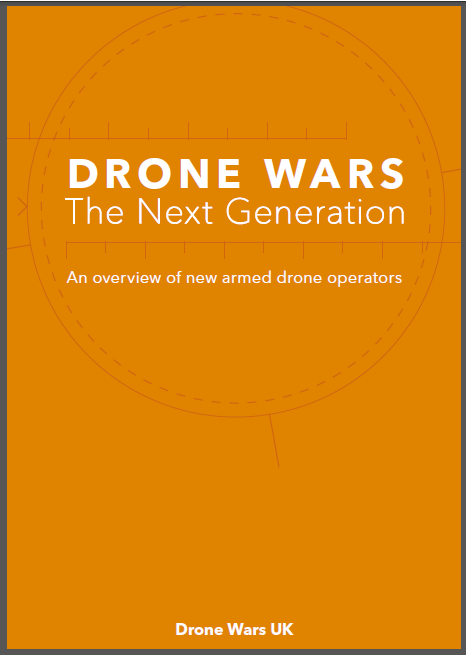 I think the title sums up many of the ambiguities and challenges of drone targeted killings – and their fraught legal foundations.